A previously unpublished book by Berenstain Bear's authors! 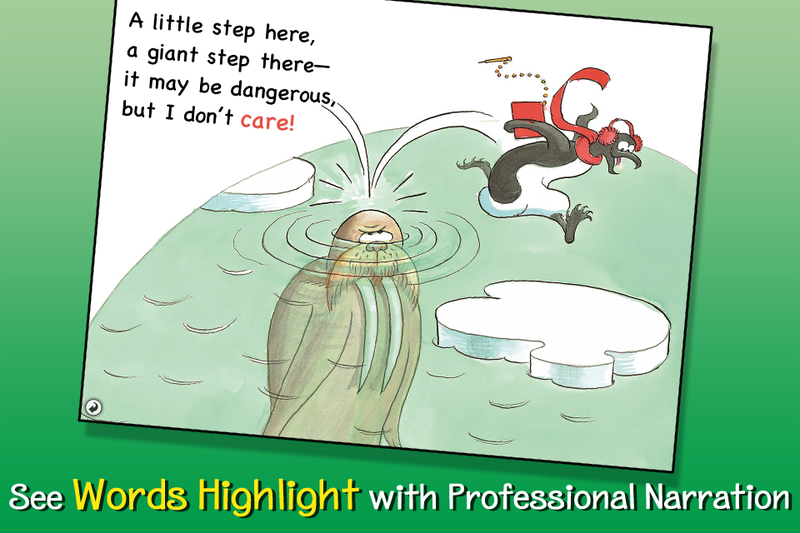 When an eager young penguin searches for adventure in the South Pole, he can't seem to find any excitement. No wild animals, no giant snowballs, and no hungry whales. Could it be he's just not looking closely enough? Join him on his journey and see if you can find anything he might be missing! This previously unpublished title was written in the 1960s by Stan and Jan Berenstain, but shelved until now due to the overwhelming success of The Berenstain Bears series. Laugh your way through this silly, brilliant, soon-to-be classic, hidden from the public for nearly half a century! New features only available in this omBook include professional narration, background audio and enlarged artwork for each scene. 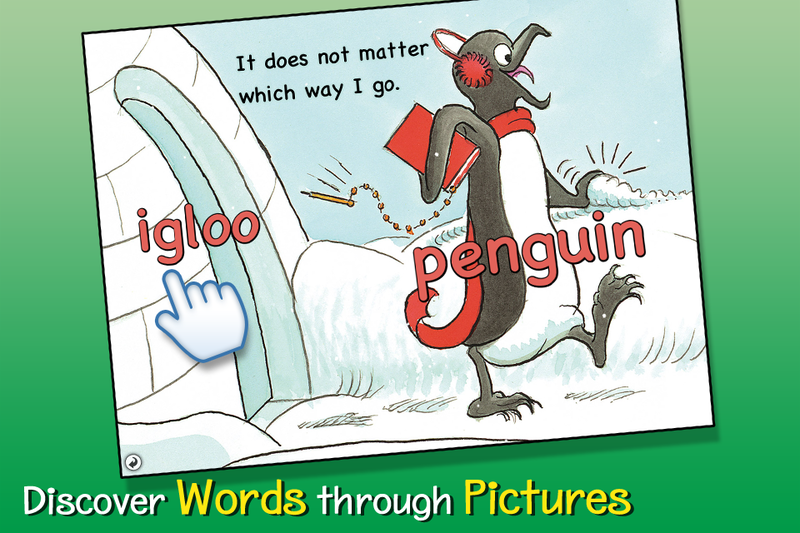 To promote reading in young children, individual words are highlighted as the story is read and words zoom up when pictures are touched. By combining the original text and artwork of The Berenstains with features that entertain and promote reading, this omBook appeals to readers of all ages.